Samsung finally took the wraps off its heavily-rumored smartphone, the Galaxy Note 7. With some killer new S Pen features, top-of-the-line specifications, an iris scanner and plenty of other enhancements, the Galaxy Note 7 might be one of the best flagship phones of the year. The Note 7 gets a big bump up in battery capacity this time around. It comes with a non-removable 3,500mAh cell that’s pretty much in line with other larger devices. And as we mentioned before, USB Type-C will be the way to charge the Note 7. 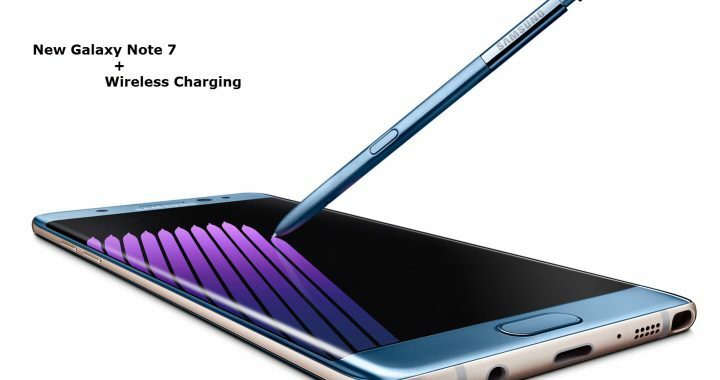 Samsung claims that the Note 7 can get a full charge in the time it takes the S7’s smaller 3,000mAh cell to charge, too, which is quite impressive. The Note 7 also supports WPC Qi wireless charging. Posted in Uncategorized and tagged Galaxy, Note 7, Qi, Samsung, wireless charging.